* Guest must contact Spa directly at 866-782-0655 book reservation time. Envelop yourself in Qua Bath and Spa's 50,000 square foot retreat and free your mind and body with one-of-a-kind, elevated spa experiences. 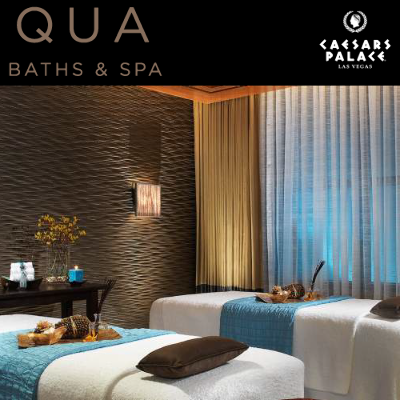 Qua's award winning services and unmatched amenities at Caesars Palace provide the ultimate in healing and relaxation.